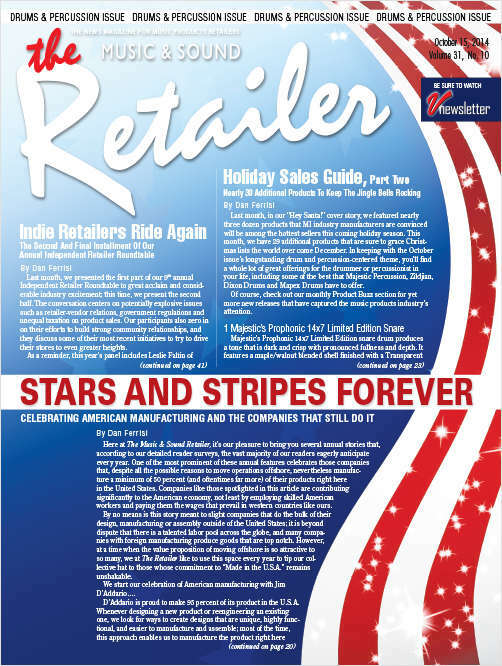 "The Music & Sound Retailer"
Free Magazine Subscription: "The Music & Sound Retailer"
Is the voice of the independent music store. Each issue features the latest MI industry news and a sneak peek at hot music products hitting shelves. Plus, our experienced writers analyze the MI market, giving you a decisive competitive advantage. By submitting this content request, I have legitimate interest in the content and agree that Testa Communications, their partners, and the creators of any other content I have selected may contact me regarding news, products, and services that may be of interest to me. Do you wish to receive a FREE subscription to The Music & Sound Retailer? Which version of The Music & Sound Retailer do you wish to receive? Please check the category that best describes your primary type of business.